When you decide to quit smoking, you need to support your body nutritionally through the transition, withdrawal and detox process. If you do everything correctly, you’ll have a much better chance of long-term success. Years of smoking cigarettes make the body more toxic and acidic and the first step in detoxification is to eat an alkaline diet. A daily Green Smoothie is the perfect alkaline food to bring your body back to a healthy pH. The fiber in the smoothie helps to sweep out toxins through the bowel, naturally. Greens are high in chlorophyll and the chlorophyll helps to repair free radical damage caused by the toxins in the cigarettes. Greens also help to stabilize blood sugar levels and that will be much needed as the body rebalances its adrenals. One of the main minerals that become deficient through smoking cigarettes is magnesium. Magnesium is used to relax the muscles but it is also used in the body’s natural heavy metal detox process, and when you take in heavy metal toxins from habitual use of cigarettes, you can imagine that any excess magnesium reserve gets burned out very quickly (no pun intended!). As a non-smoker, you will need to rebuild your magnesium levels, and especially if you want to feel relaxed naturally (Magnesium is called ‘The Relaxing Mineral’). Guess what one of the foods highest in magnesium is? Greens! Any dark, leafy green that you add to a Green Smoothie will be naturally high in magnesium. Especially for anyone who is trying to quit smoking, I recommend an additional supplement of 1 Tbsp. kelp powder or 1 Tbsp. Magnesium Citrate powder in your daily Green Smoothie for an added magnesium boost. Kelp is the highest food in magnesium, weighing in at 760 milligrams of Magnesium per 3 ½ ounces or 100 g serving. Smoking creates a lot of free radical damage, or internal rust, from the toxins directly ingested with every puff. 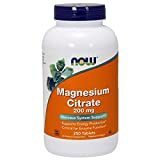 The added magnesium increases antioxidants which are then used to break down the free-radical buildup, all part of the detoxification process. Vitamin C is another natural antioxidant. If you add fresh pineapple, mango, orange or lemon to your daily Green Smoothie, you’re getting plenty of Vitamin C. Dark, leafy green vegetables are also a high source of Vitamin C. Add a handful of fresh parsley or watercress to your Green Smoothie to get your natural boost of daily Vitamin C.
In additional to adding more magnesium to your diet, I also recommend taking 500 mg of L-Tryptophan at night before bed and 500 mg of L-Tyrosine in the morning before breakfast for anyone who just quit smoking and is going through the transition off of nicotine. Tryptophan and Tyrosine are both amino acids that help with mood elevation and balancing. Tryptophan stimulates the brain to make its own serotonin, and that in turn helps you relax and improves sleep. 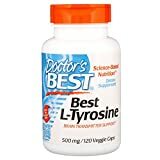 Tyrosine triggers the neurotransmitters norepinephrine and dopamine, the ‘alertness chemicals,’ and those help to stimulate focused brain thought and improved concentration. All of this will help with any feelings of depression that may arise during the transition and withdrawal process. If you’ve been smoking for a long time, I recommend taking both of these supplements for 6 months at a minimum. Think Detox & Alkaline Diet! The combination of supplements – Tryptophan and Tyrosine – plus a daily Green Smoothie naturally high in magnesium, chlorophyll, minerals, fiber and alkalinity will give you the best recipe and natural cure for how to stop smoking, once and for all. When you give the body the minerals it needs and support the brain with amino acids, you minimize feelings and symptoms of withdrawal. When you support the body through natural detoxification, you feel better faster. Green Smoothies are the key to your success! Check out my NEW book Green Smoothies for Dummies – I’ve got loads of recipes using dark leafy greens so you get easily get you daily dose of Magnesium, naturally. Did you know that lack of Magnesium can lead to massive sugar cravings, mood swings, muscle cramps, irritability, trouble sleeping, constipation and fatigue? Your body really works as a whole. A deficiency in one area can lead to other problems somewhere else. So you’ve booked the ticket, researched hotels, checked out internet options and chosen a few local sites to see, but have you made a conscious plan to stay healthy while on the road? It is possible to stay healthy while traveling. The first obstacle to overcome is jet lag. Be gentle with the body during travel and you can minimize the effects of Jet Lag naturally. Use your raw food/detox knowledge to travel healthier! Frequent flyers know how hard it can be to adjust to local times after a long flight. The body is sensitive to the earth’s magnetic pull. That ‘cellular confusion’ is what makes you feel Jet Lag. 1. Avoid all alcohol the day before and during flights. Reducing the amount of toxins and free radicals in the body will automatically help. If you have the tendency to feel stressed or fearful while on airplanes, opt for option #4 instead of having an alcoholic drink. Alcohol is a also diarrhetic, which means you will become even more dehydrated after traveling at high altitude on a dry plane. Your skin and kidneys don’t need that! 2. Fast on herbal teas or eat only fresh fruit on your journey. Bring your own dried herbal teas and ask for hot water during the flight. Carry a few oranges or other fresh fruits to enjoy. Opening an orange mid-flight is a great natural way to freshen up the stale plane air as well! (You are permitted to take fresh fruit on a plane as long as you eat it before your destination. I’ve taken fruit on every flight from nearly every airline to many countries, and I’ve never been refused!) Fasting is the perfect way to recharge and renew on a cellular level, so can you see how it would help with Jet Lag? Makes sense! 3. Avoid all airplane food! Airplane food is processed food, full of salt, chemical additives and colorings and preserved to still look fresh by the time it gets to your seat. Even if it is a lacto-ovo vegan meal, it is not a healthy meal. Airplane food can make you feel bloated, tired, constipated and sick on it’s own – not a good thing to add to time zone stress! If you have felt puffy or bloated after long flights in the past, it could have been the food. Food additives, salt and hidden sugars in food can create inflammation. These are especially important to avoid while traveling on airplanes through several time zones. 4. Try Kava Kava capsules for sleeping or relaxing on long flights. 5. Eat only fresh raw fruits for the first day upon arrival. Your travels can actually become a new avenue to discover more about raw food, natural healing and healthy living!